Tie dye returns for another winning season. 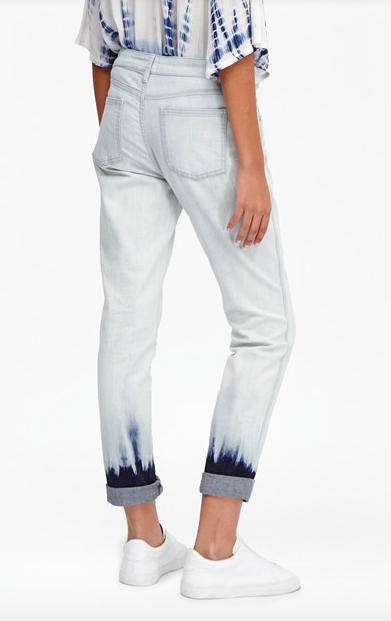 Dyed at the hem, slip these slim-fit Tie Dye Hem Denim Jeans with easy essentials for an interesting twist on off-duty style. 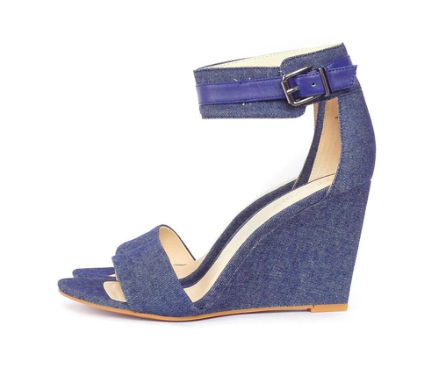 Blue cotton denim covered wedge sandal. Adjustable ankle strap. Cushioned leather foot bed. 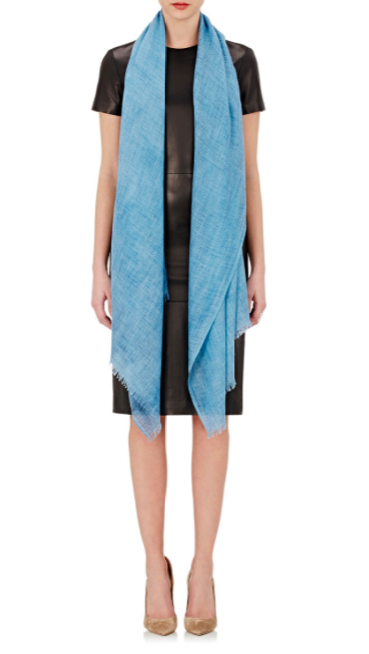 MM6 Maison Margiela blue-green, light blue and navy colorblocked denim wide-leg jeans. 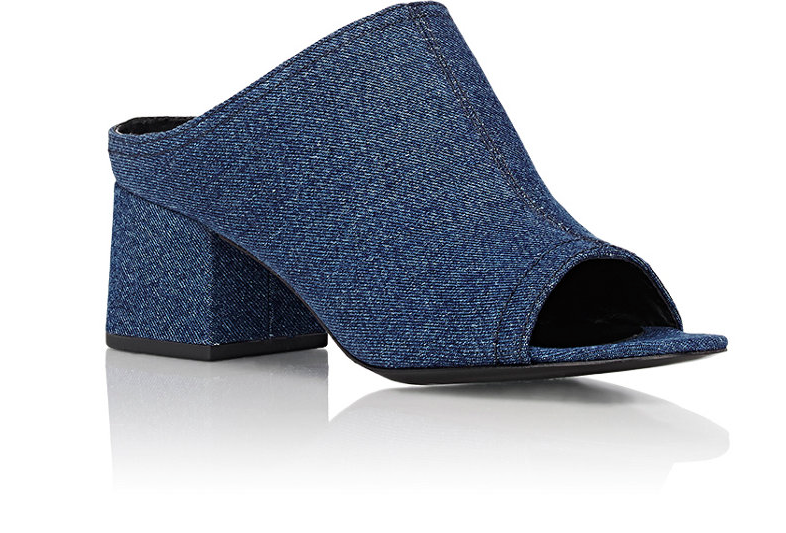 3.1 Phillip Lim indigo denim “Cube” mules styled with an open toe and block heel. 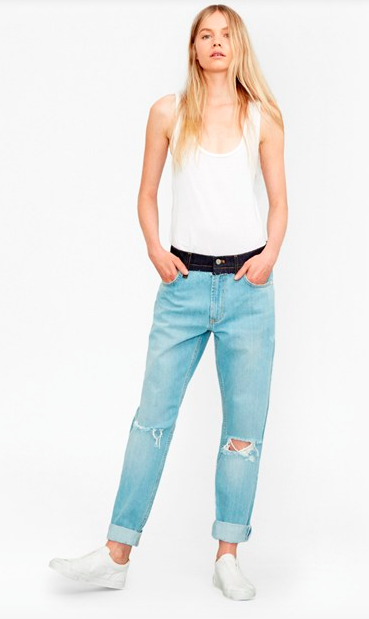 Frayed edges, ripped knees, turn-ups and contrast patch-on waistbands are the recipe to a perfectly-stylish pair of denim jeans. 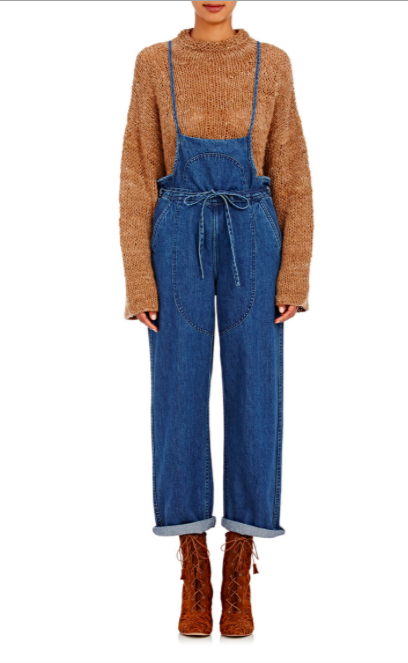 In this season’s cut of choice, the boyfriend fit, The Mash Up Denim Boyfit Jeans will pair especially well with second-skin bodysuits, or tank tops, and block heels. 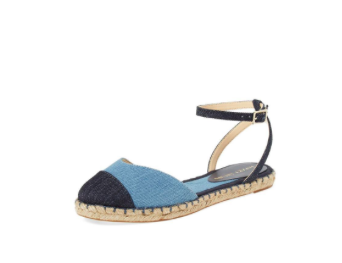 A breezy, casual-chic espadrille flat available in a range of finishes is styled with a slight V at the vamp and fitted with a slender ankle strap. Adjustable ankle strap with buckle closure. Textile upper/synthetic lining/textile and synthetic sole. 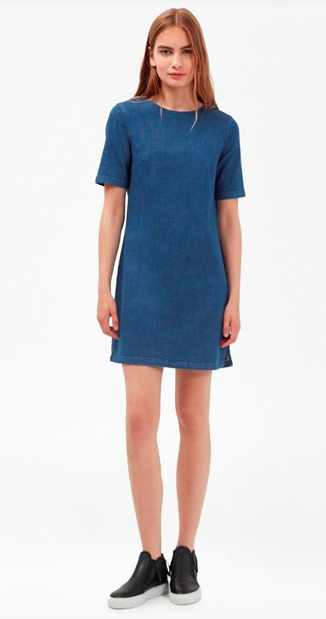 Offered in a light wash with exposed stitching, in contrasting blue, our Cali Denim T-Shirt Dress needs no other accessorising than a pair of trainers to look effortlessy stylish on dressed-down days. 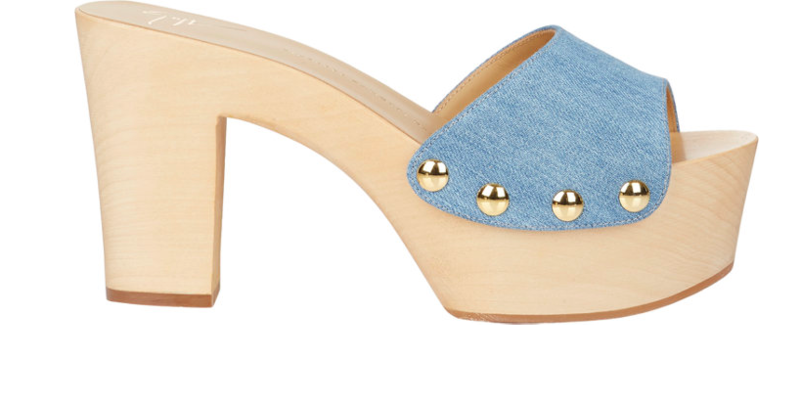 Giuseppe Zanotti light blue denim clogs styled with a wooden platform heel. 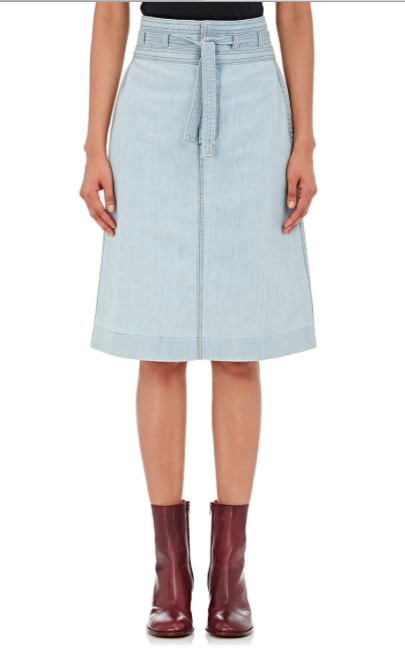 WARM light blue cotton denim Byrd skirt detailed at waist with self-ties. 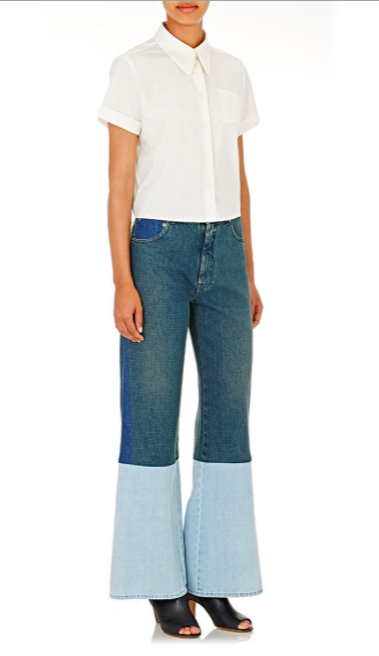 Denim jeans have been revisited for the new season with blossoming detail. 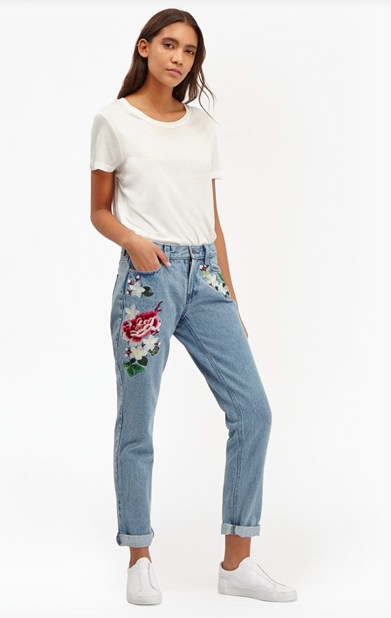 Colour-full floral embroidery is patched onto the curves of our Dionne Floral Embroidered Boyfit Jeans to bring femininity to a boyish fit.